What will Henry and Werner be asked by Liverpool fans? In what must be an unprecedented move by any English football club Liverpool Football Club are today planning to offer fans the opportunity to grill the club’s owners live on TV. John W Henry and Tom Werner, joint owners through FSG (or NESV as it used to be called), will sit alongside commercial director Ian Ayre for the official channel’s two-hour show “LFC Now” from 5pm. Supporters can get their questions over by email, Twitter, Facebook or phone. There are obvious questions that supporters will want to ask, and despite suspicions from some supporters about possible censorship and vetting of questions it’s expected that this would be kept to a minimum by the producers of the show. Understandably there will be some questions that can’t be answered on air and there will be others that might well result in a diplomatic rather than openly honest answer, but other than that, and as long as the question doesn’t effectively repeat earlier questions, it should be possible for any point to be put to the new owners. Anfield Road asked on Twitter for supporters to list the kinds of question they might ask if they got through tonight. Continue reading What will Henry and Werner be asked by Liverpool fans? Liverpool FC are now owned by a group of investors under the umbrella of New England Sports Ventures, the people who own Boston Red Sox in the US, a group that is led by John W Henry. Mr Henry is clearly a man who wants to engage with fans, and the latest example of that is a serious of questions he answered for the Liverpool fan site Red and White Kop (RAWK). Some of the questions he answered included one on how NESV funded their acquisition of the club, and one on whether or not there is any binding agreement in place to prevent acquisition debt being placed on the club at a late date. He also gave an indication of how NESV hope to make a return on their investment, and his answer should be quite reassuring for supporters. To see the answers you’ll need to visit Red and White Kop, it wouldn’t be fair to reveal any of them here. We’ve mentioned the interview in an effort to give it a tiny bit more exposure, but RAWK is probably the biggest independent LFC forum on the net. A second set of answers to some further questions is expected at a later date. 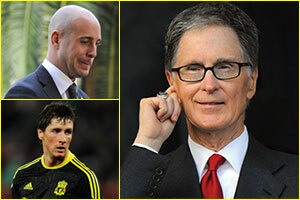 John Henry from Liverpool’s new owners NESV sent the club’s official website some quotes earlier today. They were part of a concerted effort by the club to try and dampen down some of the speculation surrounding the future direction of the club. Word that NESV will look at transfer fees and contract costs in a different way to any of their predecessors was been taken by some sections of the media to mean they’ll not be spending any money. But with the Red Sox the second highest spenders in baseball’s equivalent of the transfer market that’s an assumption that isn’t being made by many supporters. Nobody expects – and few fans wanted – Liverpool’s new owners to be sugar-daddies. What supporters want to see is a club that practically runs itself; generating its own income for transfers and player wages. We don’t want to find we’ve become reliant on money coming in from outside the club that could be taken away at any time. 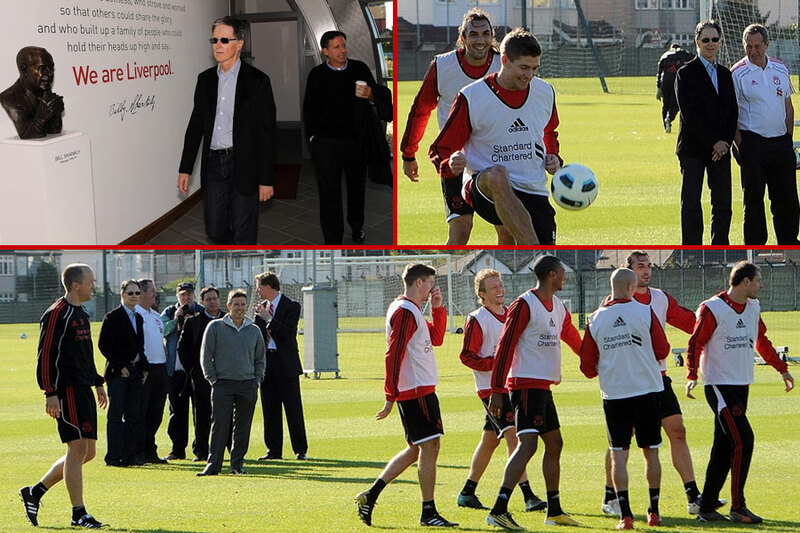 Thomas Werner, chairman of Liverpool’s new owners NESV, was at Melwood this morning with colleagues John W Henry and Joe Januszewski. It was all smiles as the new regime got to have another look at this important part of their new empire, meeting the coaching and playing staff. For now it’s all about steadying the ship. The words sound much the same as they did last time the club changed hands – but the trio of what became known as the ‘independent directors’ insist that the new hands are very different to the (man) ham-fisted ones that left in embarrassing circumstances yesterday. Actions will be more important than words, and NESV are understandably reluctant to say anything that will be construed as a promise and used against them at a later date.